JOIN US EACH DAY, Nov. 24-27 FOR SOME CELEBRATING. WE'LL HAVE TUTORIALS AND DT INSPIRATION. THERE WILL BE PRIZES FOR LEAVING COMMENTS ON THE DESIGN TEAM'S BLOGS AND PRIZES FOR TRYING OUR TUTORIALS. YOU WILL HAVE 2 WEEKS TO ADD YOUR PROJECT to the Nov. 27th POST FOR US TO SEE SO THERE IS NO EXCUSE NOT TO JOIN IN THE FUN. Please Hop along with us!! 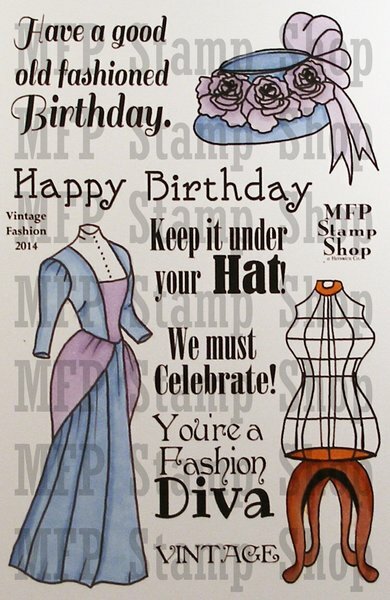 You could win one of the MFP Stamp Shop Celebration-related STAMP SETS Just comment on the blogs listed below ( don't forget this one ) each day for more chances to win! ( You do NOT need to comment on on all the blogs each day! The names are drawn randomly.) Try one of the tutorials shown during the Hop and add your photo to the Inlinkz at the bottom of the post. 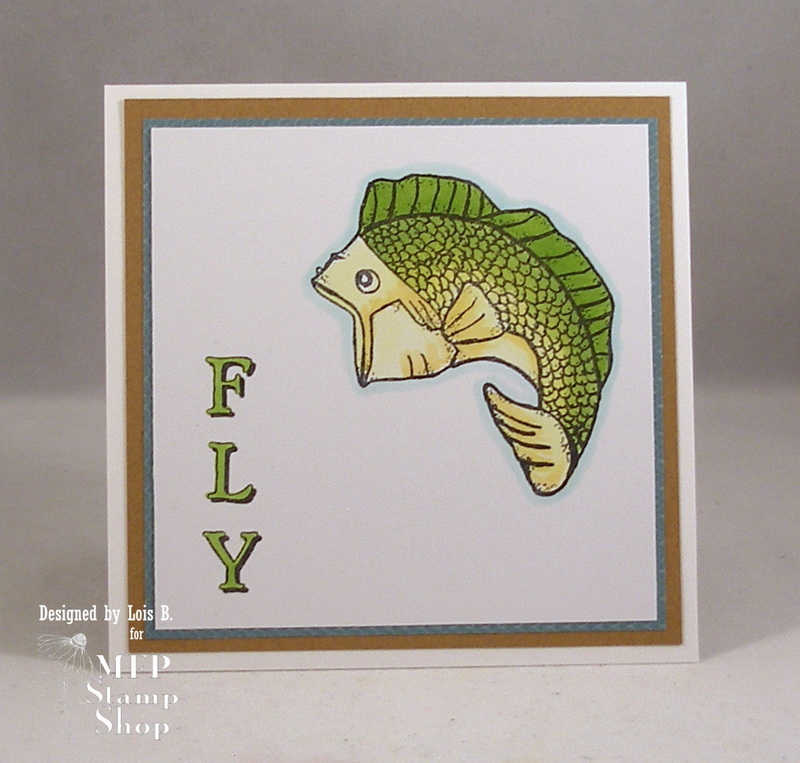 The winners will be announced on Dec. 12, 2015 right here on the MFP Stamp Shop Blog. You can go back and comment if you missed a day. ( HINT: The more you comment the more chances you have to win. And comments on the MFP blog count twice. ) The deadline for commenting and posting pics of your projects is Friday Dec. 11, 2015 at 10:00 PM EST. 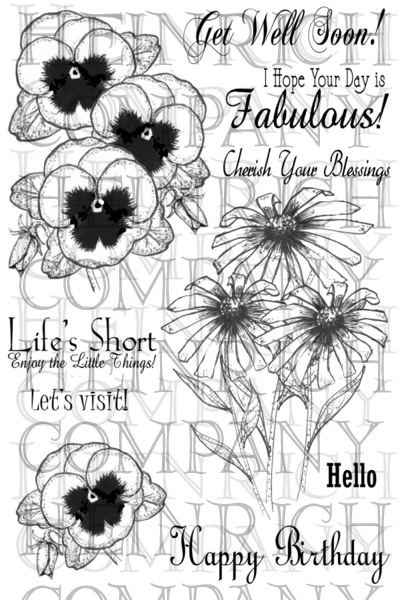 Here's my card, which incorporates all of those things. 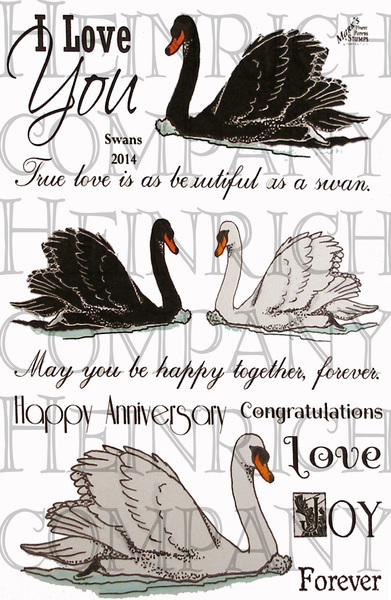 The MFP Stamp Shop sets that I used on this card are Spring Flowers and Swans. Enjoy the Hop. 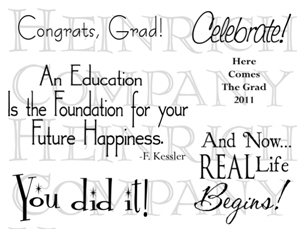 We hope we have inspired you to start your own Celebrations. Get to work on the tutorials, show us what you made by Dec. 11 and check back on Dec. 12, 2015 to see if you are a winner. 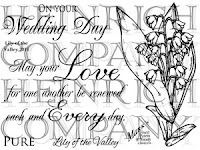 It's Susie and Clarke's wedding day!!! For the card I made for them, I used the color Susie chose for her bridesmaids -- pink -- as my accent color. The MFP Stamp Shop set that I used for this card is Lily of the Valley. Enjoy the Hop. Come back each day for more Celebrating. We hope to inspire you to start your own Celebrations. Get to work on the tutorials, show us what you made by Dec. 11 and check back on Dec. 12, 2015 to see if you are a winner. Happy Thanksgiving, eveyone! 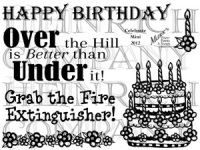 Frances winds up her month as hostess for the CCEE Stampers blog by reminding us that tomorrow is Black Friday in the USA. Many will be taking advantage of the sales. 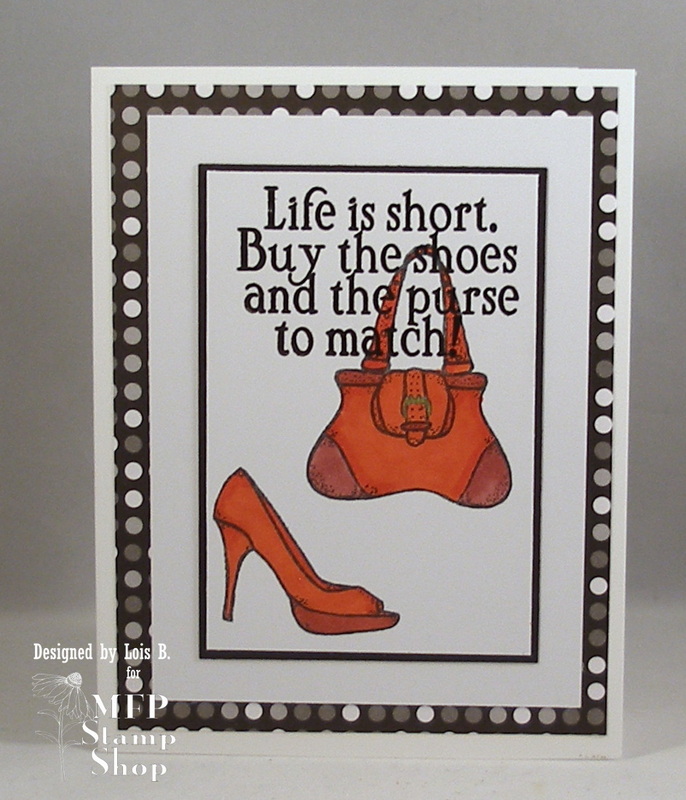 She asked us to create a card with a shopping theme and include the color BLACK on it somewhere. 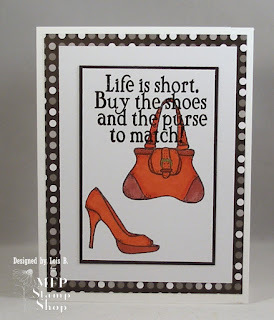 Stop by the CCEE Stampers blog to see how the rest of the team went shopping! Susie has met the love of her life, Clarke, and they are planning to get married. 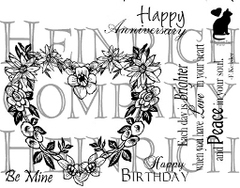 Today we're celebrating this milestone in her life by throwing her a wedding shower. 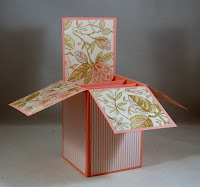 The invitation is a Pop-Up Box Card; and, if you've never made one, they are lots of fun. 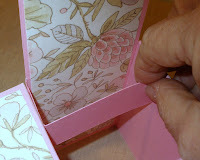 I have a tutorial to show you how to make one for yourself. 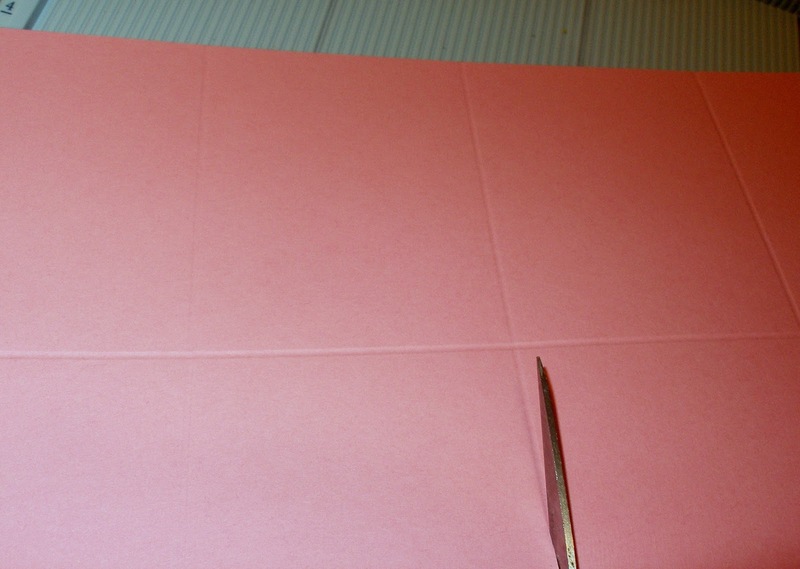 Cut the 12" x 12" piece of cardstock to 8 1/2" x 12". Score on the long side at 2 3/4", 5 1/2", 8 1/4" and 11". 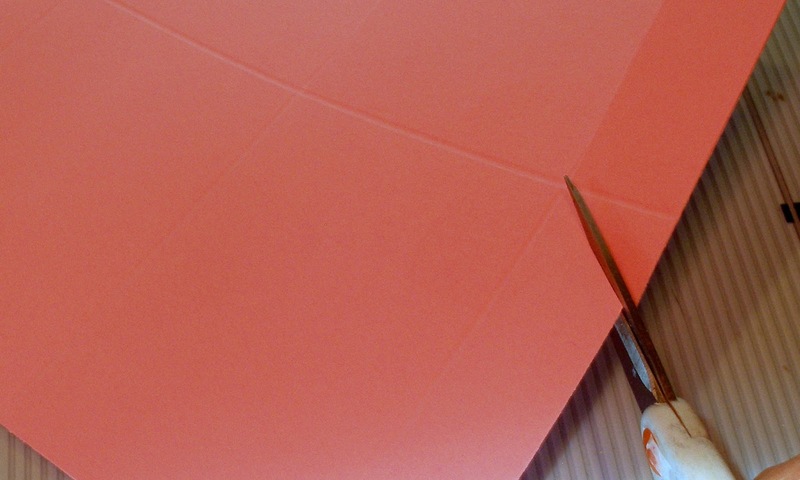 Cut off a 2" x 12" strip to be used later. 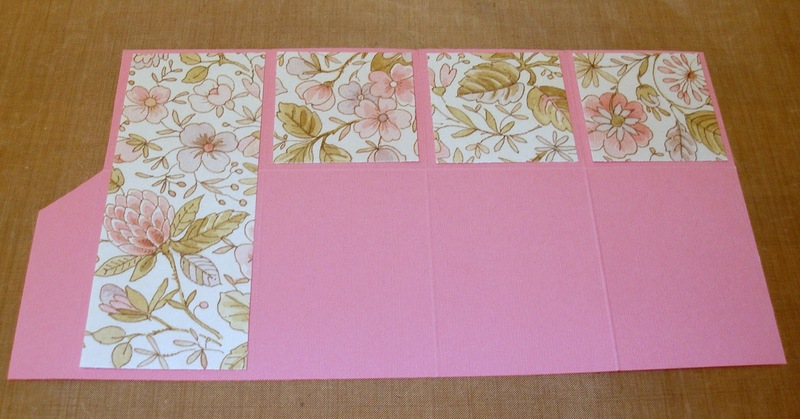 Turn the 6 1/2" x 12" panel a quarter turn to the left and score at 2 3/4". Cut down from the top to this score line on each of the four vertical score lines. 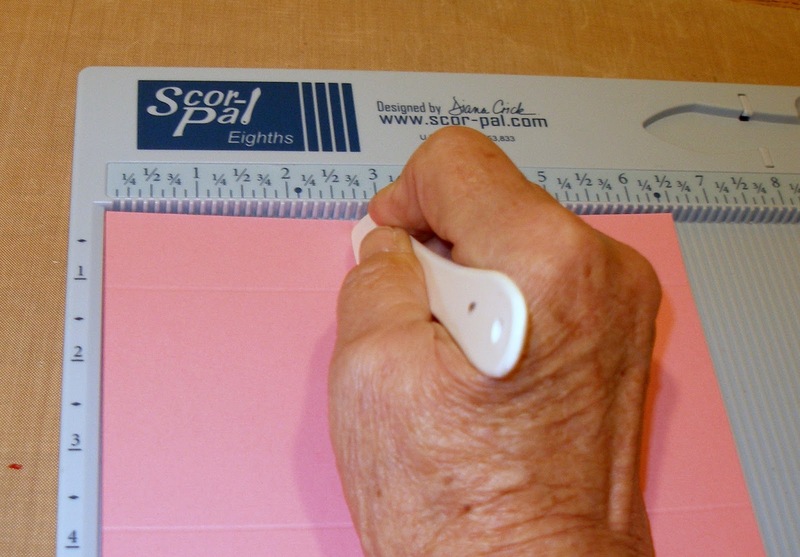 At the 11" score line, cut at an angle from the edge up to the score line, removing the excess and creating a tab. 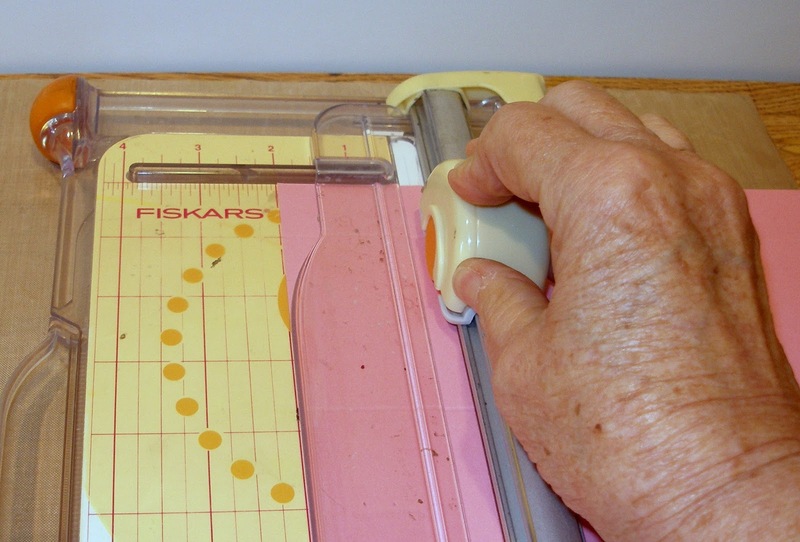 Cut the 2" x 12" strip at 4 3/4" from the end with the 1" score line. 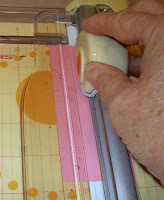 Cut the strip in half the long way, creating two strips 1" x 4 3/4". 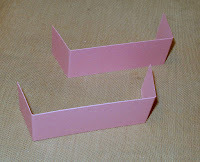 Fold on the score lines, creating tabs at each end as shown. For the inside of the box, cut one piece of patterned paper 2 1/2" x 6 3/4" and three pieces of patterned paper 2 1/2" square -- as shown. 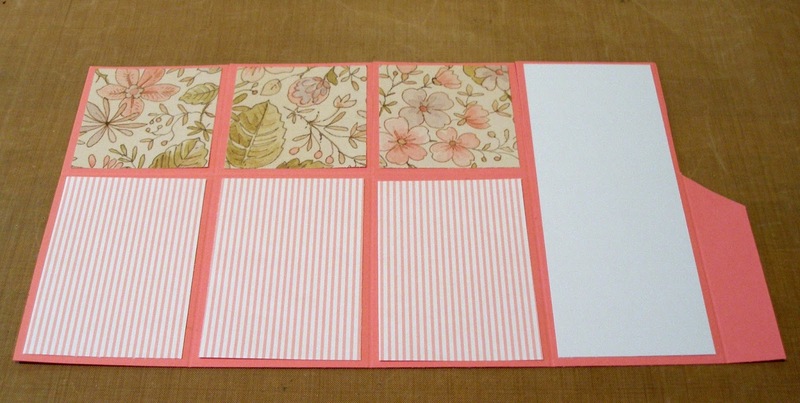 For the outside of the box, cut one piece of white card stock 2 1/2" x 6 3/4", three pieces of patterned paper 2 1/2" square, and three pieces of coordinating patterned paper 2 1/2" x 3 1/2" as shown. 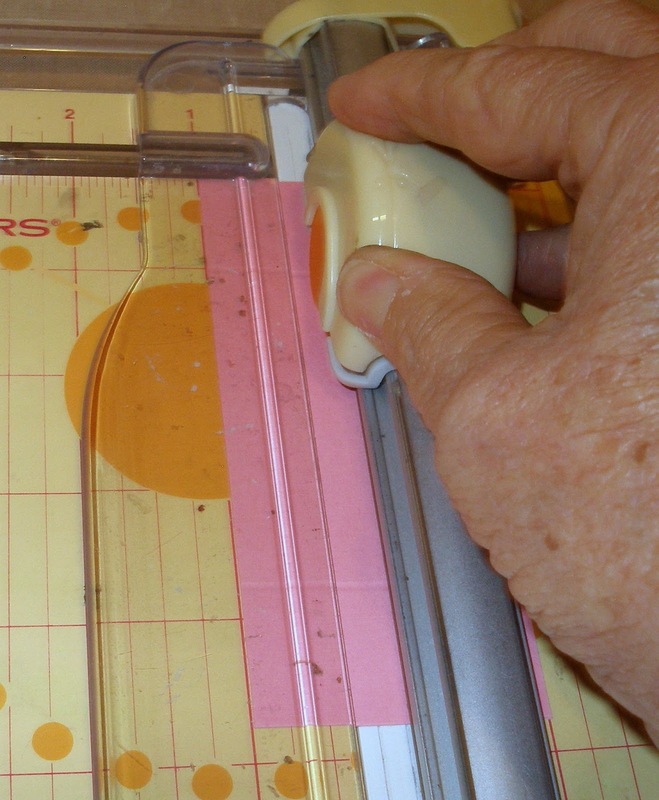 Adhere two strips of Scor-Tape on the outside of the end tab, as shown. 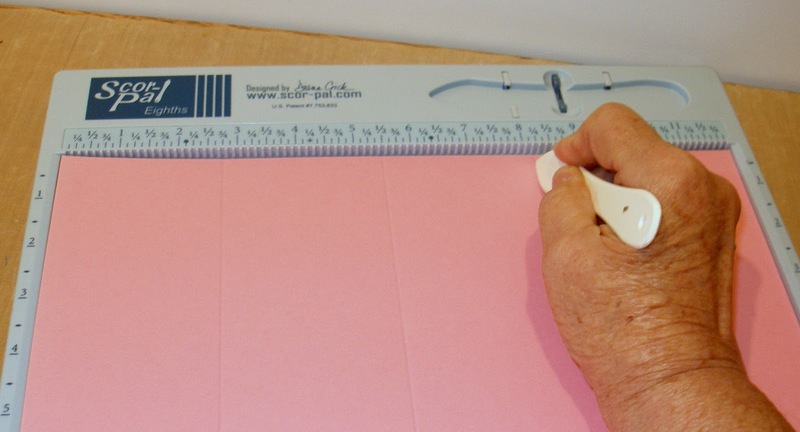 Remove the paper covering from the Scor-Tape. 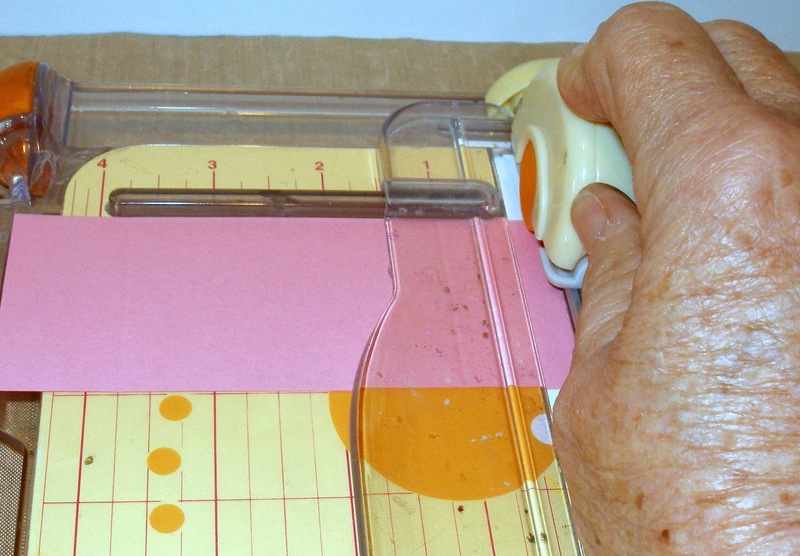 Fold the card in half at the 5 1/2" score line and tuck in the tab with the adhesive. Remove the paper covering and tuck one of the strips into the box, lining up the ends of the tabs with the back of the box. 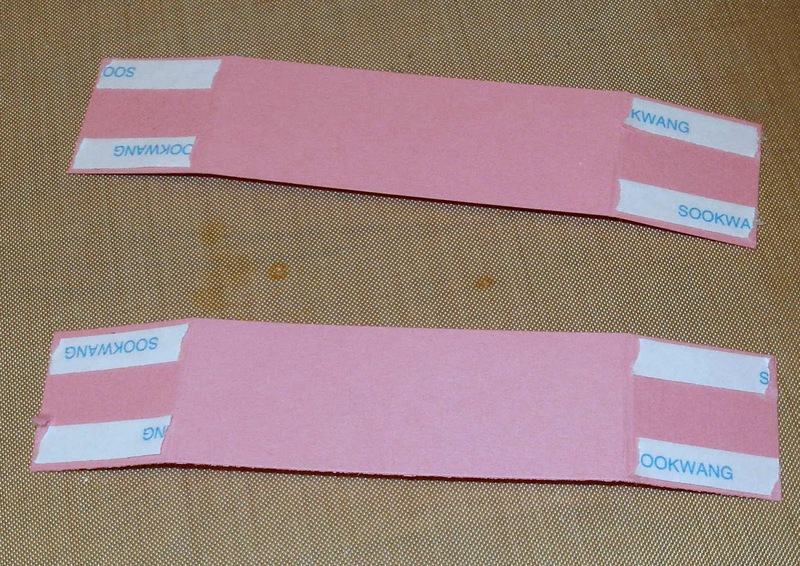 Remove the paper covering from the other strip and tuck it into the inside of the box, lining up the ends with the first strip. 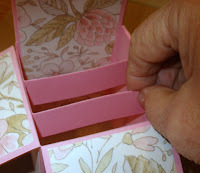 Your box is now complete and ready to decorate further. 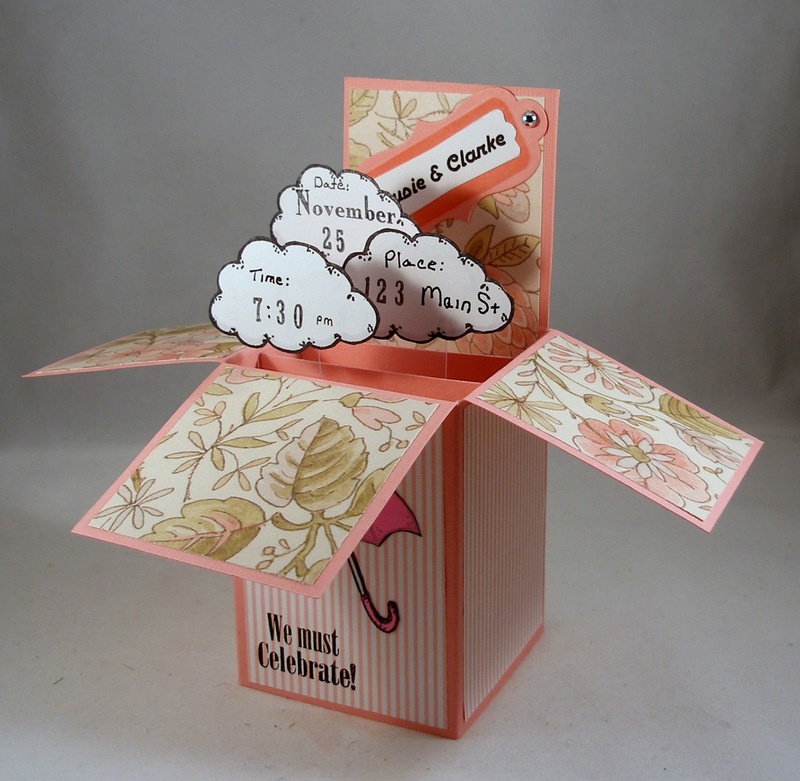 As this is the invitation for the wedding shower, I put the pertinent information on clouds, cut them out and attached them to the inside strips with narrow acetate strips. 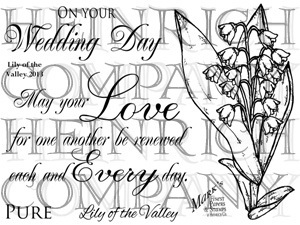 Then I decorated the front and put the names of the bride- and groom-to-be on a banner. 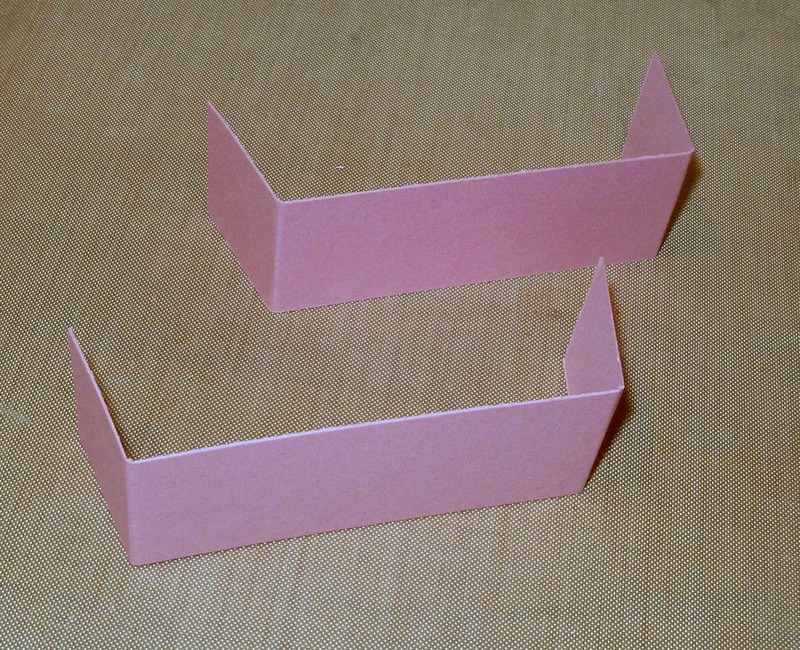 As you can see, the card will fold flat for mailing. 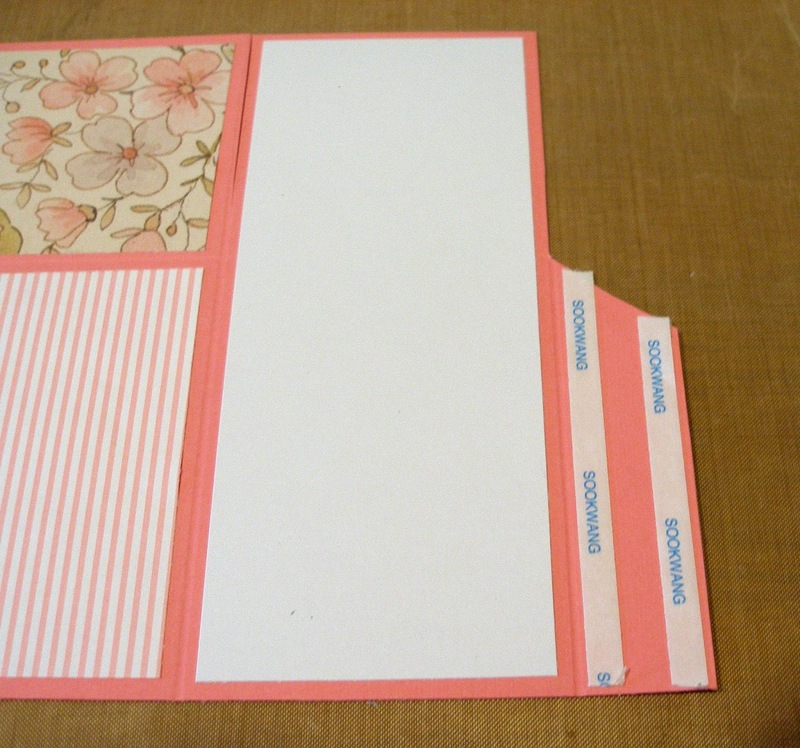 I hope you will give this type of fun-fold card a try. MFP Stamp Shop sets used on my wedding invitation were: Calendar, Rain Clouds, and Vintage Fashion. 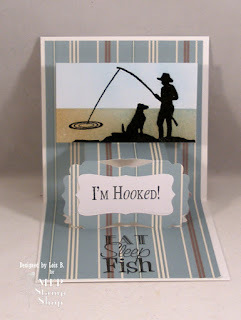 I'm continuing my fictional little story of Susie again during this month's blog hop. She is all grown up and graduating from Florida State University. 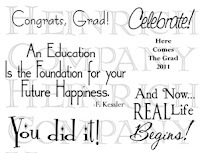 Let's celebrate her achievement! 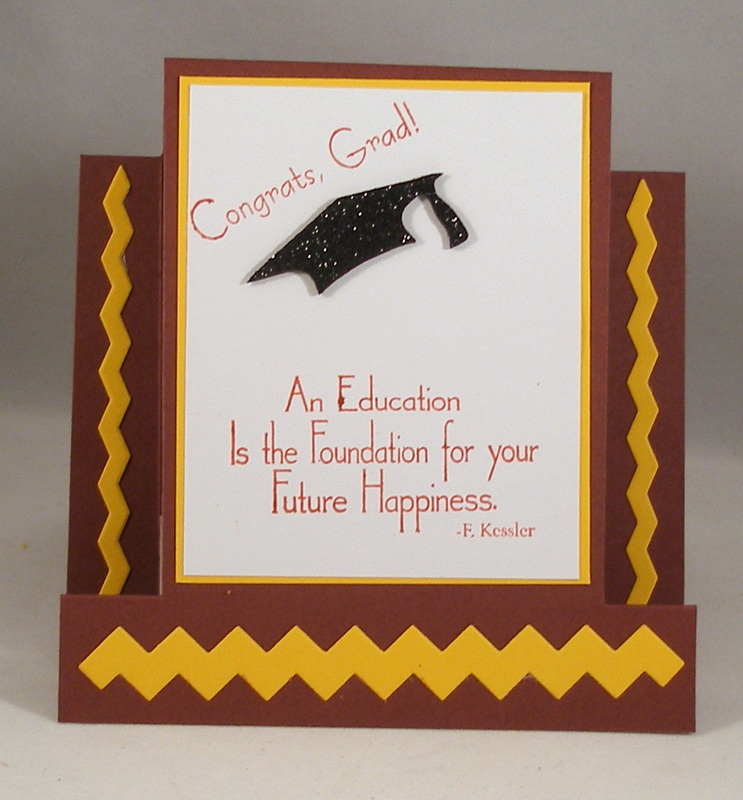 As you can see, the color scheme of my card is the FSU Garnet and Gold. 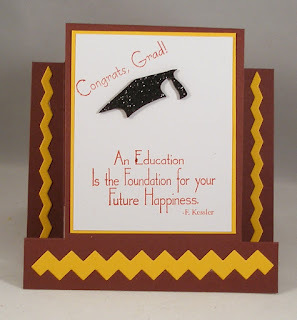 The MFP Stamp Shop set that I used for this card is the Here Comes the Grad mini set. 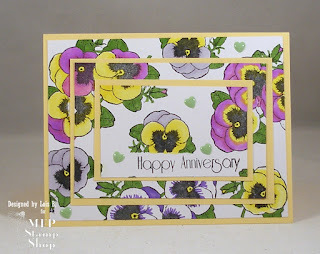 Frances continues as hostess for the CCEE Stampers blog again this week. She told us that tomorrow is Universal Children's Day and asked us to create a card featuring a child having fun of some type. This challenge really was a challenge for me. I have very limited children's stamps, but I finally found something that my kids did with their dad when they were young . . . fished. I used the Elizabeth Craft Designs Lucy Label pop-up card die for the inside of my card. 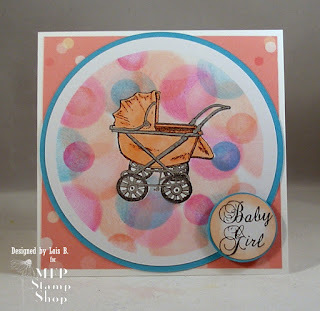 I'm sure the rest of the team had more choices of children's images, so pop on over to the CCEE Stampers blog to take a look. 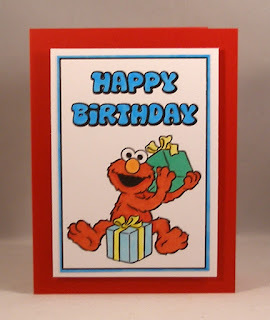 Frances continues as hostess for the CCEE Stampers Blog this week, and she told us that November 10th Sesame Street celebrated 46 years since the show started. 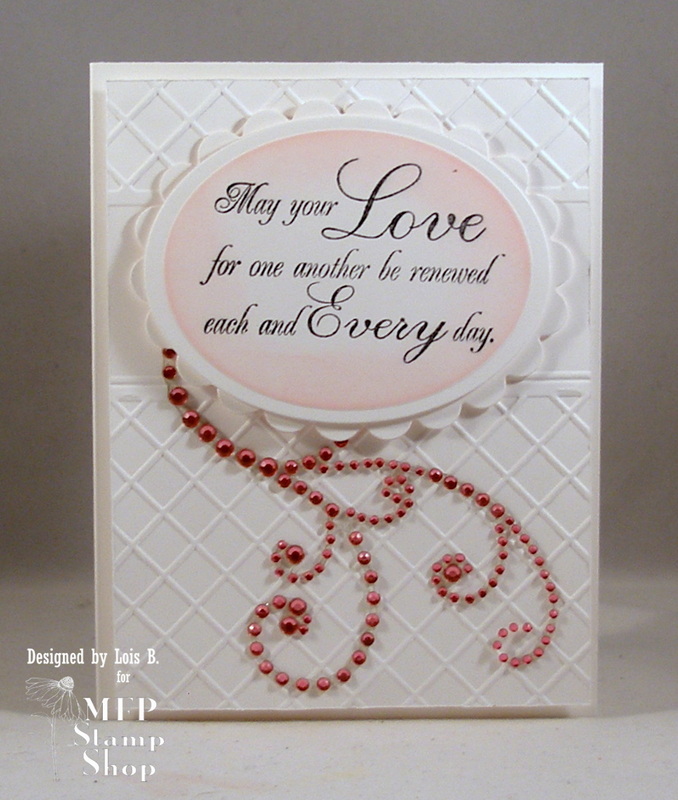 She asked us to create a card that is inspired by the show. We could feature any of the characters from the show, something related to a character, e. g. garbage bin (Oscar the Grouch), yellow (Big Bird), or cookies (Cookie Monster). Another option would be to feature a letter of the alphabet, etc. 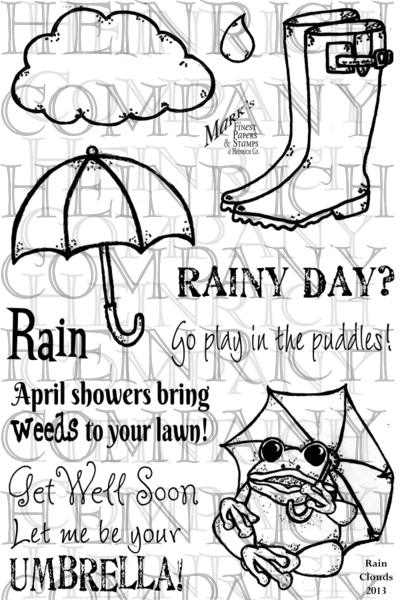 I decided to look for some coloring book pages on-line and found a whole bunch of Sesame Street-related pages available. I've always liked Elmo, so that's the direction in which I went for my card. 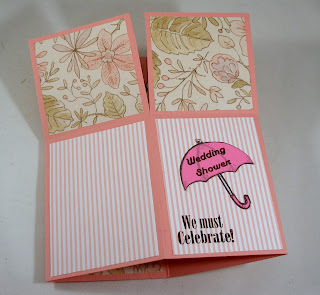 Check out the CCEE Stampers blog for more of Sesame Street. 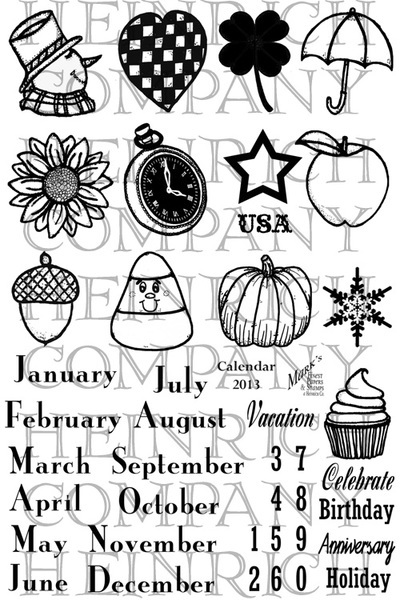 "Sunny day, sweeping the clouds away . . . . "
Frances is our CCEE Stampers hostess for the month of November, and she tells us that November 2nd was Look for Circles Day. 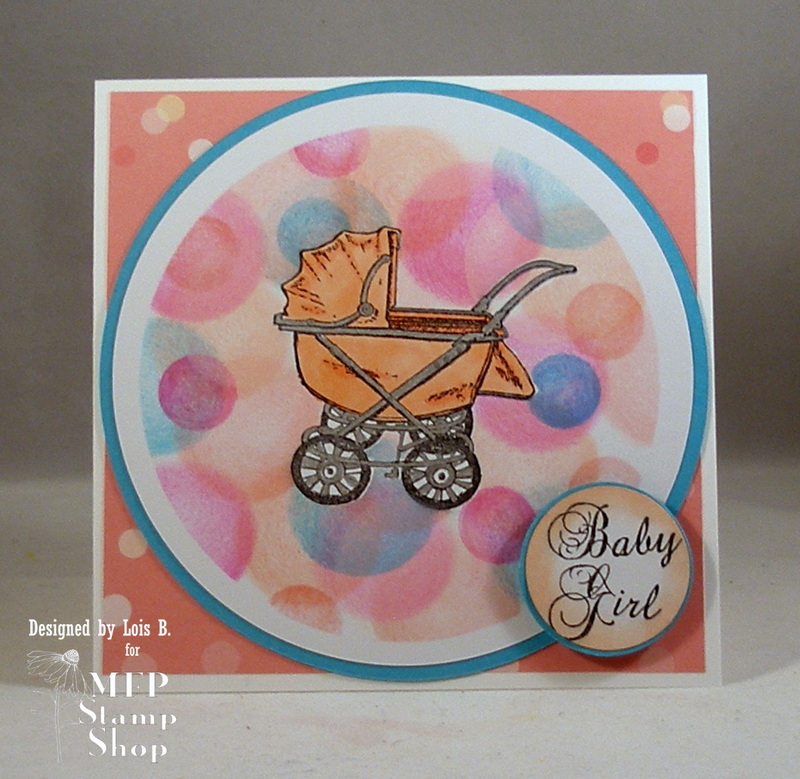 We were to create a card featuring circles -- how many can we include on our card? I'm not sure how many circles are on this card, and to tell the truth I don't think I want to try to count them. When I saw the word "circles" in the challenge description, the words "bokeh technique" screamed in my ear. I had to make a baby shower card for a friend of my daughter's, who is having a little girl. My daughter showed me a photo of the baby's room and it was sort of pinky-peach and aqua. So I decided to make that card for my CCEE card today. Check out the CCEE Stampers blog and see how many circles are on there today.